SUNDAY SAUCE excerpted from DANIEL BELLINO ZWICKE’S upcoming new book "LA TAVOLA"
One of the great traditions of the Italian American enclave in the U.S. is the ritual of Sunday afternoon when the entire family gets together for Mama’s or Nona’s famed “Sunday Sauce.” What is it? Well there are a number of variations on the theme. 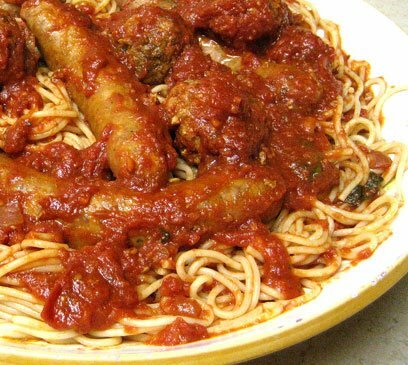 Most Sunday Sauce’s are made with Italian Sausage, braciole, and meatballs. Some people make theirs with pork ribs, beef neck, and possibly with chicken. 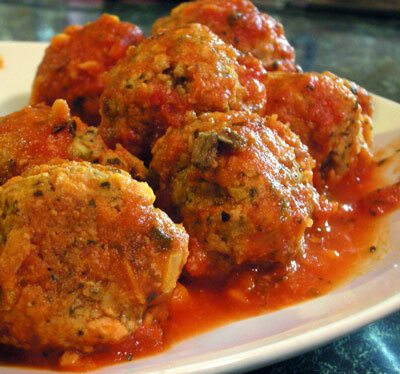 These meats are slowly simmered for several hours with tomato, and minced onions, garlic, celery, and carrots. I generally like to make my Sunday Sauce with sausage, meatballs, and pork ribs. Other times I’ll make it with sausage, ribs, and braciole. An old tradition in some families is that mother or grandma would start the sauce early on a Sunday morning, get it simmering away for a couple hours on top of the stove, then put it in the oven for a couple hours while everyone goes to church, the sauce slowly simmers on the back of the stove. When you get back home, the sauce would be ready. The rituals of cooking, serving, and eating Sunday Sauce is a time honored one. It is a beautiful thing. 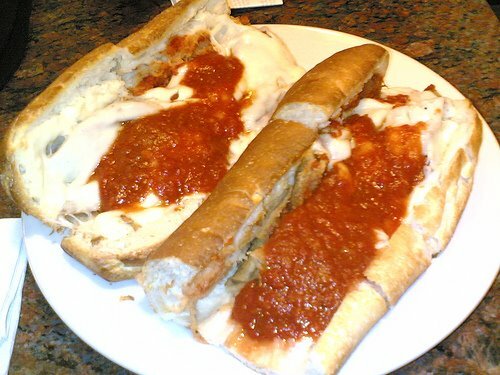 If you mention the term Sunday Sauce to any number of millions of Italian-Americans, the wheels start tuning in their heads. 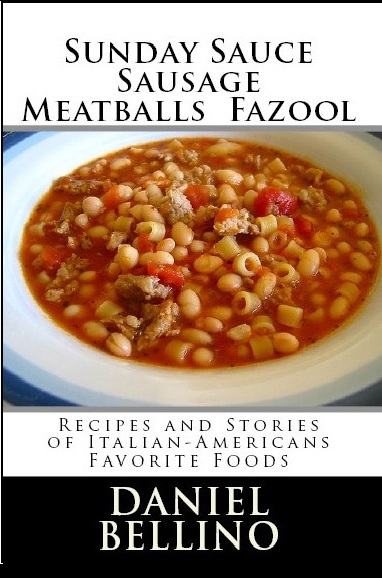 Thoughts of how tasty it is, all the different componets; the meatballs, sausages, braciole, (maybe ribs or tne neck), the pasta, and the gravy itself. The think about sitting at the table with friends and or family, people they love. They think about the antipasti that will start the meal and about some good Italian wine, maybe a nice Chianti. They think about the warmth in the air, loved ones, Dino, Sinatra, the Sunday Sauce. “It’s a beautiful thing!! !” If you’ve never done it, “Try it!” If you haven’t cooked one for some time, plan a get-together soon. “Sunday Sauce, it brings people together,” in a most delightful way. 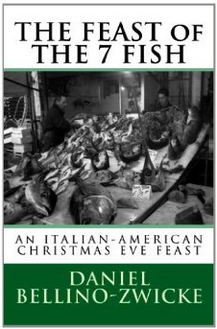 about Italian American New Yorker’s Culinary and Social Adventures with Italian Food and Wine; cooking, shopping for Prosciutto, PArmigiano, Olive Oil, Mozzarella, Pastries, Coffee, Salumi, Salami, Bread, and Wine. They Eat, they COOK, they laugh, they cry, but most of all their lives are filled with wonderful times around the table as only Italians can do. They do it well. They mostly eat at home, with family, a few friends, or a large party. Go to the restaurants, Caffes, Shops, and Bars that they go to. It’s a Culinary and Social Adventure of a Lifetime. Go!!! !